As our technological capabilities increase, so does our novel ideas. The evolution of technology and ideas go hand-in-hand, and they complement each other. Well, as far as novel ideas go, we have to admit that the Circular Airport Runway Concept is definitely up there. The Endless Runway Concept is the brainchild of Dutch scientist Henk Hesselink. It comes in the form of a 3.5km (2.17 mile) round runway that circles around the terminal building. The unique circular design makes it easier for planes to get headwinds for takeoff. 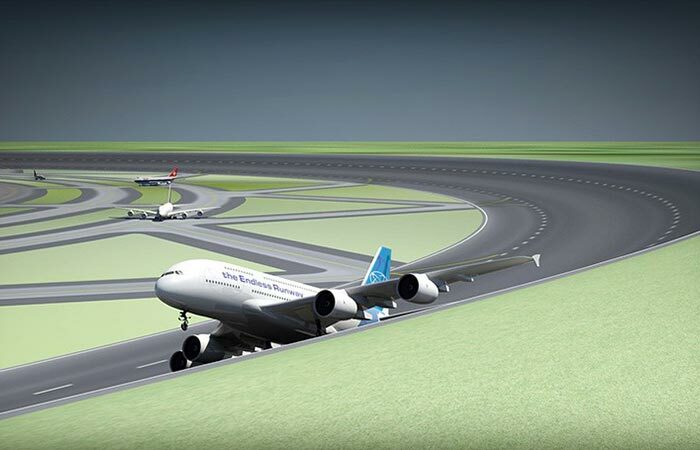 This design would alleviate congestion since it will allow up to three airplanes to take off and land at the same time. 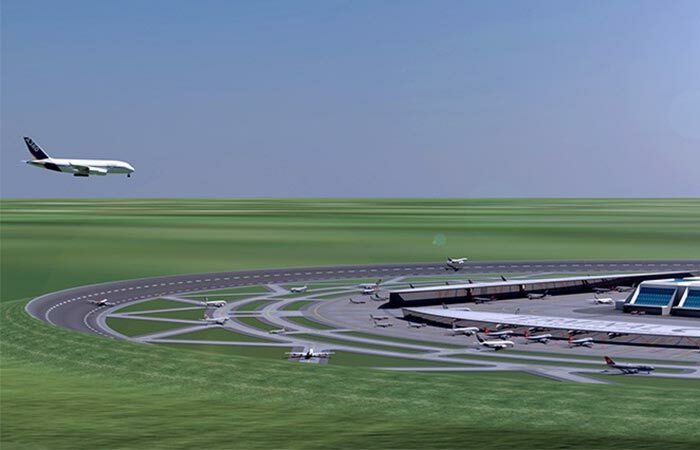 It will also take up approximately a third of the space that a conventional airport requires. To make it even more impressive, this concept was designed to work independent of changing wind speed. This design means that there is always a point on the track that does not have any crosswinds. Because of the banked circular design, this runway allows for easier takeoff since there is always a spot on the track that does not have crosswinds. The original inspiration for Hesselink came from watching dangerous crosswind landings, and he decided to do something about the situation. 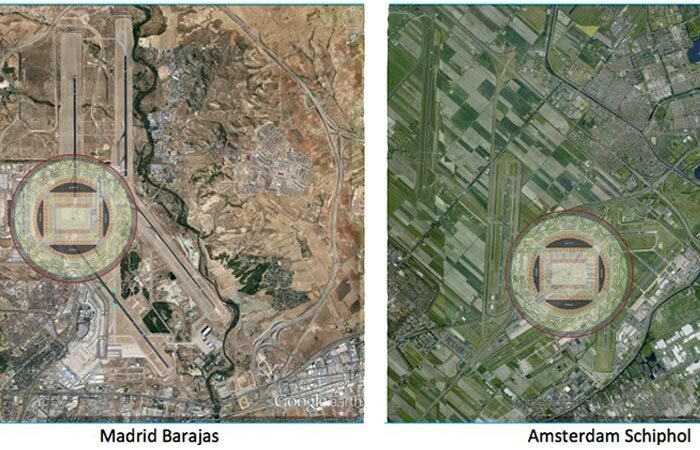 The entire “Endless Runway” is banked which helps to break winds, and the circular shape also means that the plane will find a spot where it can take off and land with minimum air disturbance. This design is estimated to take up a third of the space of a conventional airport. Check out this interview with Hesselink.